Following my posts about my new collection of Battlefield in A Box terrain, here are some pictures of the whole collection set out on my newly acquired gaming boards. The boards are simple MDF from a popular national DIY chain. I am hoping to be able to acquire some cheap sheets to cover the boards when I play. Black for playing Firestorm Armada, blue for Dystopian Wars and green/brown/grey (depending on what theme I go for) to play 40k, Warmachine or other land-based games on. Woods and hills and ruins, oh my! 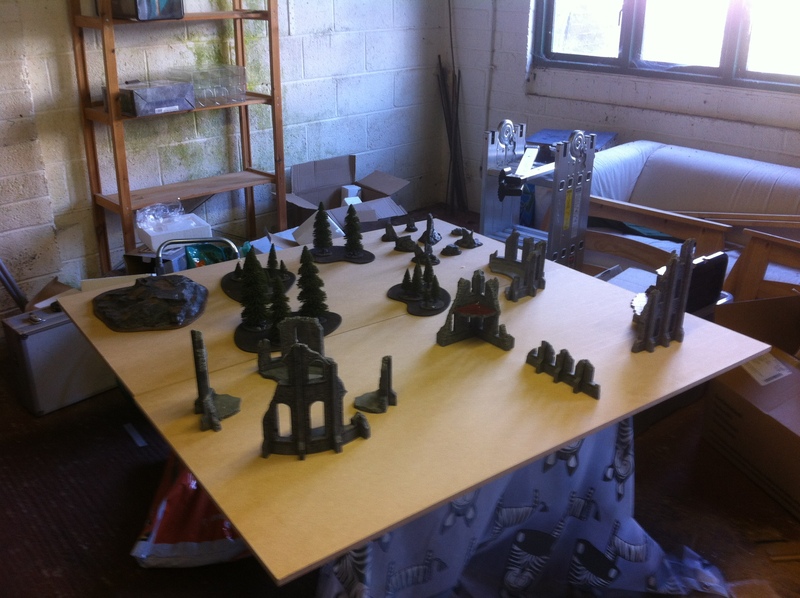 My second shipment of Battlefield in a Box scenery has arrived, courtesy of those splendid chaps at Firestorm Games. Once again I am really pleased with the quality of what I’ve received. 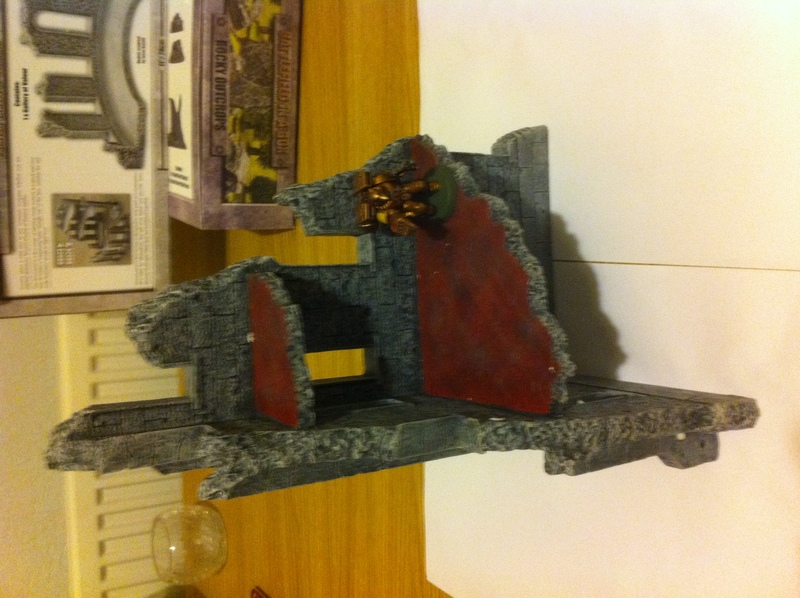 The terrain is good and sturdy and the pre-painting is done well. The little bags of flock and static grass included in the packs are a nice touch, but I’m actually thinking that a better idea might be to use the pot of unused modeling snow I have on my gaming shelf and doing a winter table. Despite what I posted in my previous review, the BiaB pine wood sets are available once again. I ordered a large woods and a small woods. The main difference between them being the size of the trees. 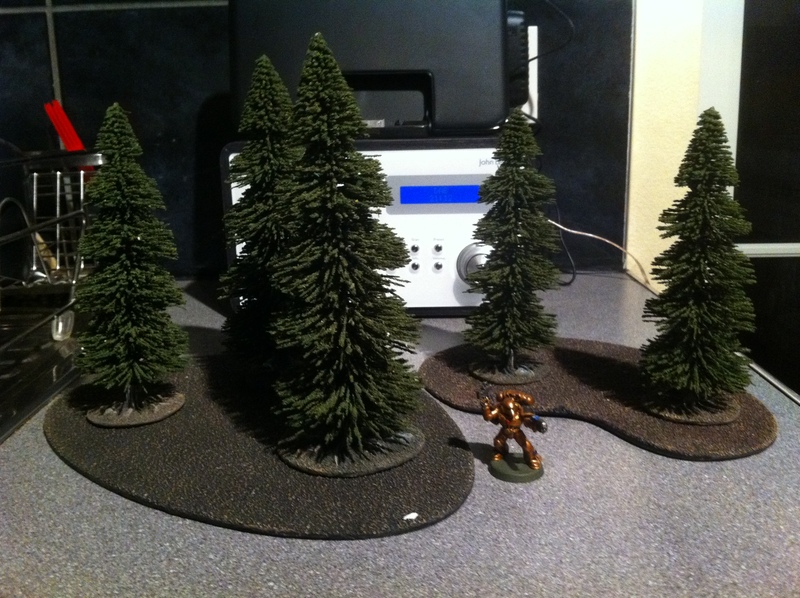 Both come with two area bases that will neatly define the woods for the purpose of ‘area terrain’ style rules, upon which you can place the model trees. I quite like the contrast between the stately tall trees of the large set and the smaller clustered trees of the small set. I think a good effect could be acheived my mixing the two sizes on a single base. 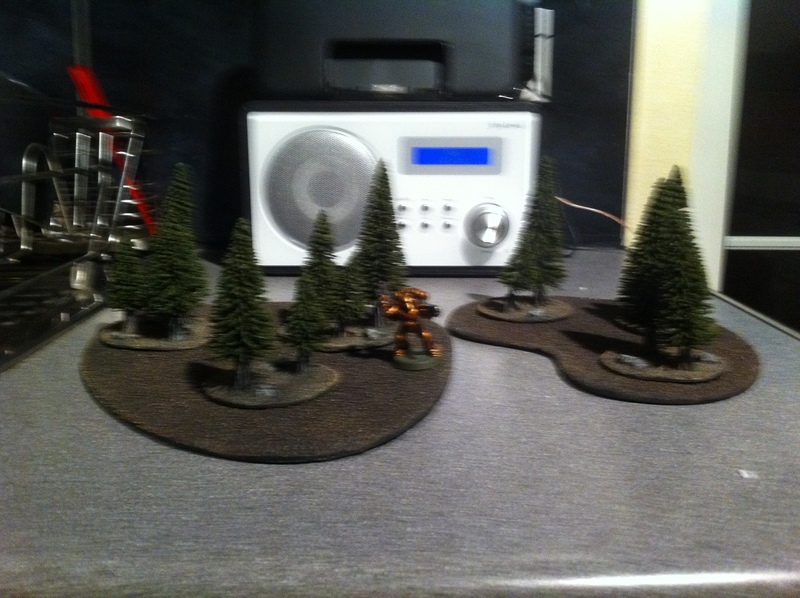 The advantage of having removable trees makes it easier to place large monsters such as a Carnifex in the woods while still knowing that the area terrain rules will have them covered. 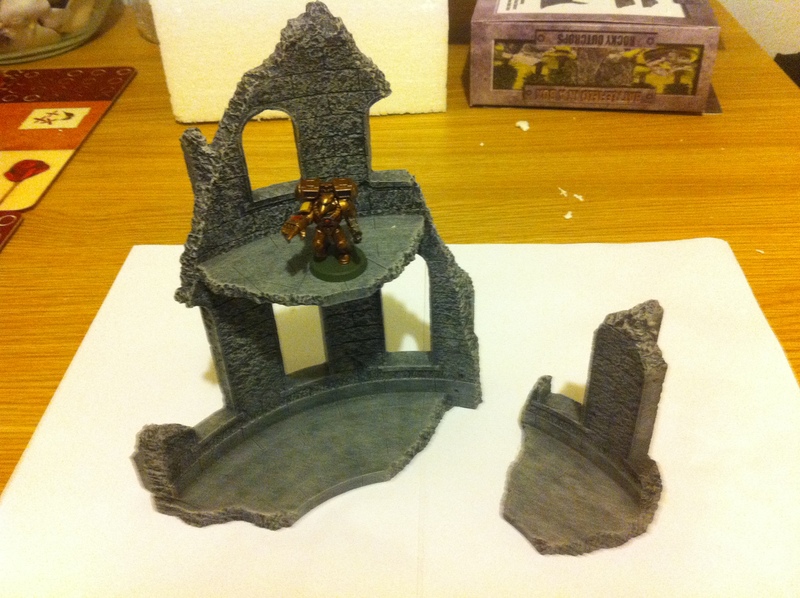 The Crumbling Remnants set is a nice ruin in the same style as the Broken Facade I reviewed last time. It’s nice having these more interesting ruins though in the longer term I think a few more conventional ruins would be good to add to the mix. I’m really pleased with my scenery collection to date. 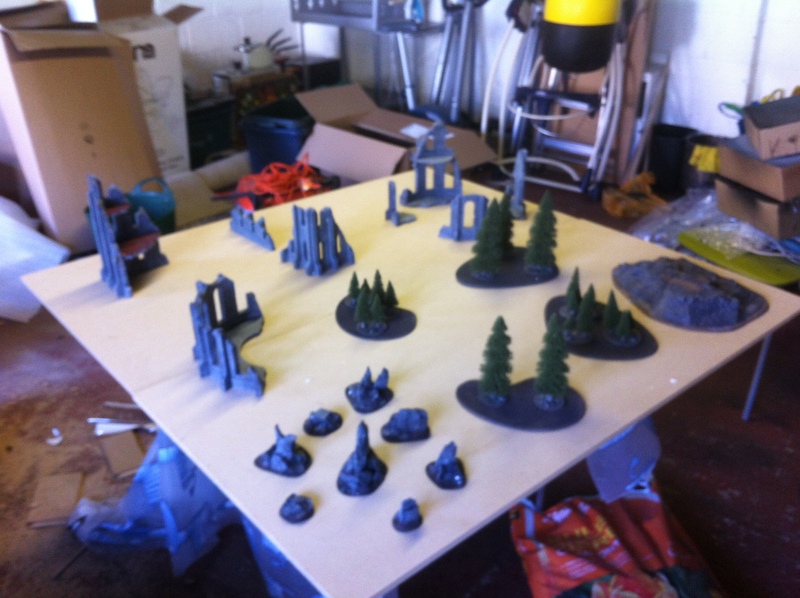 I might add a few more pieces, in particular an extra hill or two but I think I have enough to have a fairly good game of 40k or similar on a standard size table. Once I have bought my table I will post some pictures of everything set up. 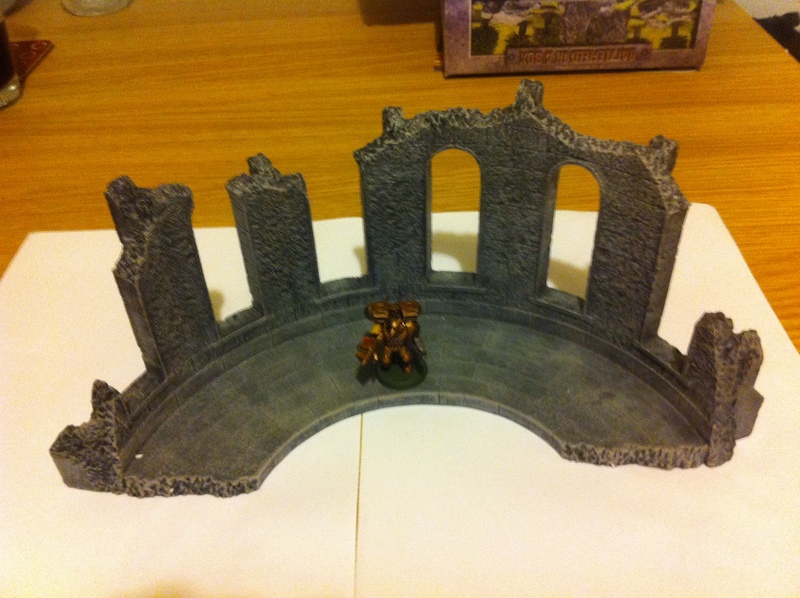 Check out @CaitoGalenus’s post about the new Skullvane Manse terrain piece from Games Workshop. It’s been a long time since I’ve had my own gaming table. 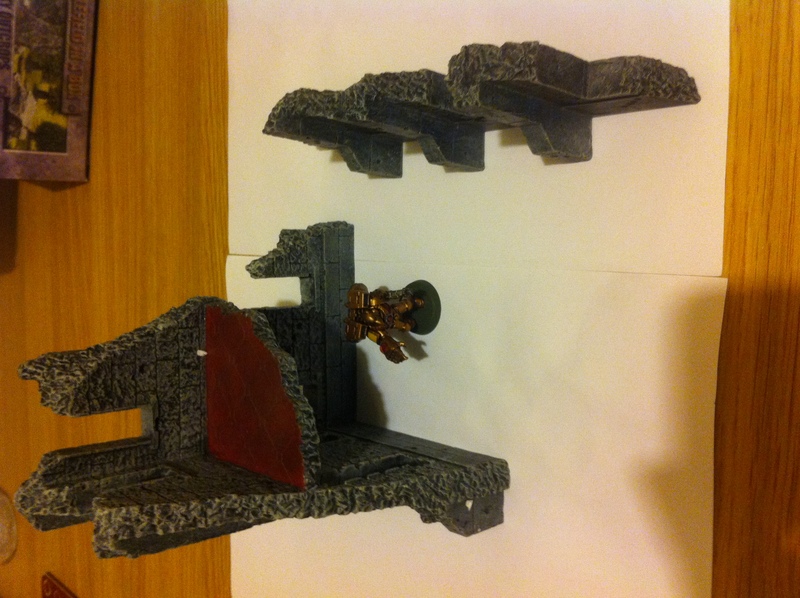 Back in the day I used scenery cobbled together from polystyrene tiles and miscellaneous junk, with a few cardboard buildings mixed in. As I get more into gaming again (following a few years of hovering on the periphery), I’m starting to think about getting a table to play on again. The basic table can be sourced from B&Q (other hardware stores are available) like the old one was. But there are a wide range of model scenery providers available these days. My eye was caught by the Battlefield in a Box range produced by Gale Force Nine. 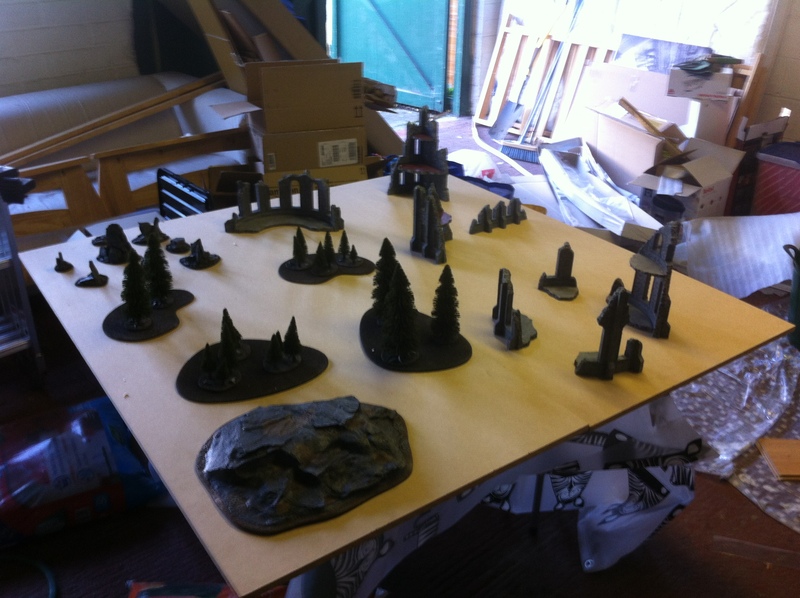 They produce a range of resin scenery that, crucially, comes pre assembled and pre painted. Which is a boon to us gamers who barely have time to paint our actual models. BiaB produce specialised scenery for Flames of War the 15mm WW2 game. 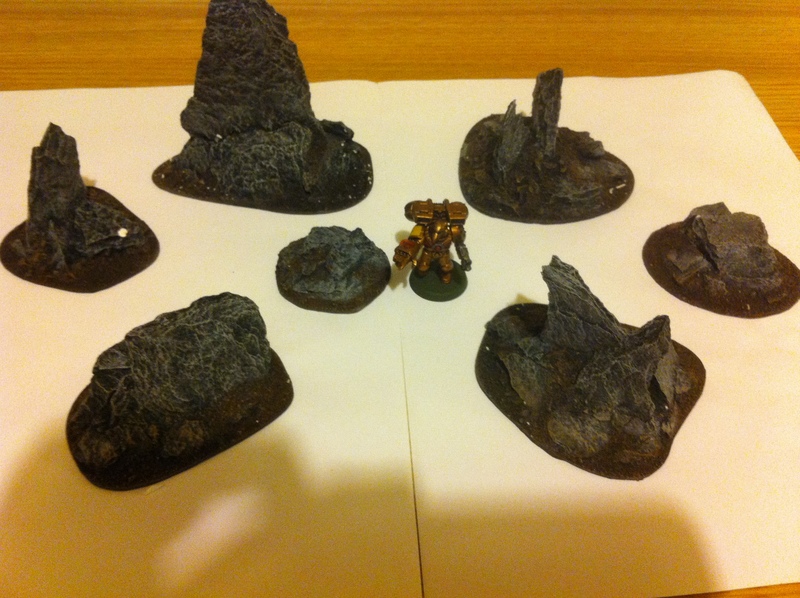 But the also produce a range of generic scenery for 28mm games. The generic scenery is what I’m interested in. 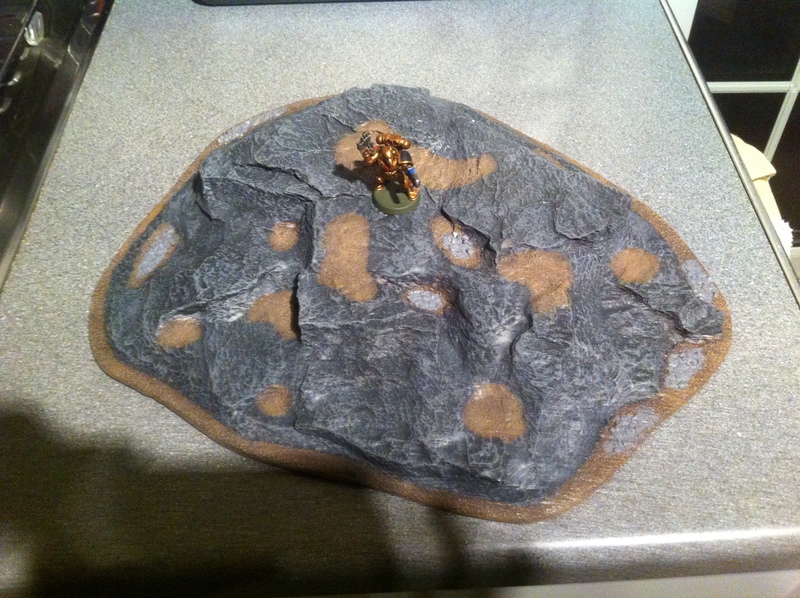 It’s generic nature will make it suitable for playing 40k or Warmachine, and some of it could be easily re-purposed for use in Dystopian Wars (using hills as islands for example). 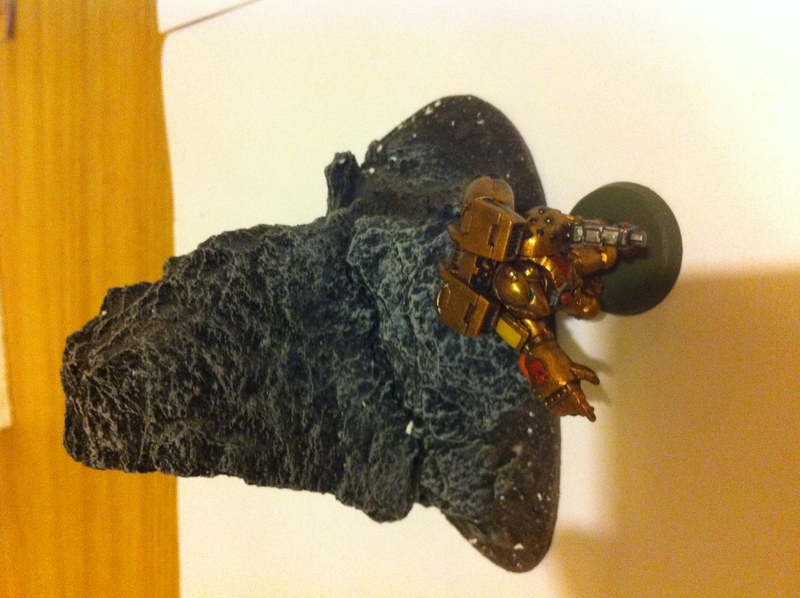 A week or so ago I ordered the BiaB Rocky Outcrop set through those nice chaps at Firestorm Games. The box arrived last Monday. I chose this set because it looked like a good, but relatively inexpensive set I could use to gauge the quality of the products. I was cautiously optimistic about what to expect, but was pleasantly surprised by what I received. For a start there were more pieces in the set than I expected, all of a different size and shape. 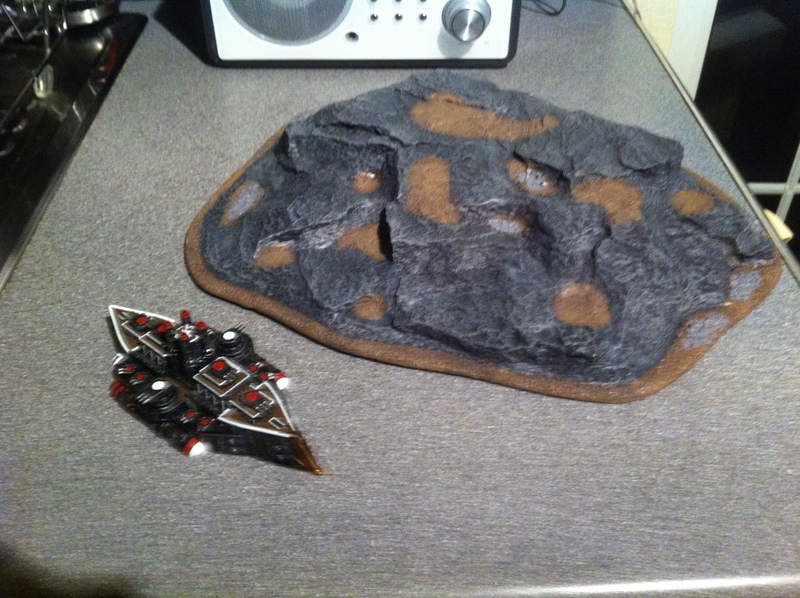 Enough to be able to put quite a large and diverse boulder field down on the tabletop. The pieces were well packaged in sturdy polystyrene, ideal for storage. Most importantly, the quality was really good. The pieces were cast in resin, giving them a nice feeling of solidity, and meaning they are unlikely to be displaced by over enthusiastic dice throws. The paint job on them was also pretty good, certainly good enough for the table top but with no danger of overshadowing your own painted models. Spurred by this positive experience I went on to invest in some of the BiaB ruined buildings (thanks to an unexpected surplus in my toy budget). I went for the Small Ruin, Medium Ruin, Gallery of Valour and Broken Façade sets. After I got over my surprise at the size of the box the delivery came in, I eagerly unpacked the new stuff. The ruins are also pretty cool, they are also nice and sturdy and well painted and it’s nice to be able to put down a variety of ruined shapes to give a better impression of a whole settlement that is now in ruins. That said, each box only contains one or two pieces and it would be necessary to invest in quite a few to get a really well covered table. I’m quite happy with my purchases. And hope to be able to use them in a real game before too long. They’re not the cheapest terrain option out there but, the extra pound or so to get something that is already painted, and done so to a good standard, is well worth it if you are pushed for time or prefer to concentrate in your army. That said, you will have to make a substantial outlay for enough stuff to cover a table. Storage might also be an issue. Each set comes well packed in polystyrene, but storing them in their boxes might mean you run out of space pretty quickly, while storing therm unboxed could lead to chips or breakages. One word of caution though. Several pieces from the range (such as the Rocky Hill sets) are currently unavailable through most channels and others such as the Pine Forest and Rocky Outcrops are currently difficult to get hold of. 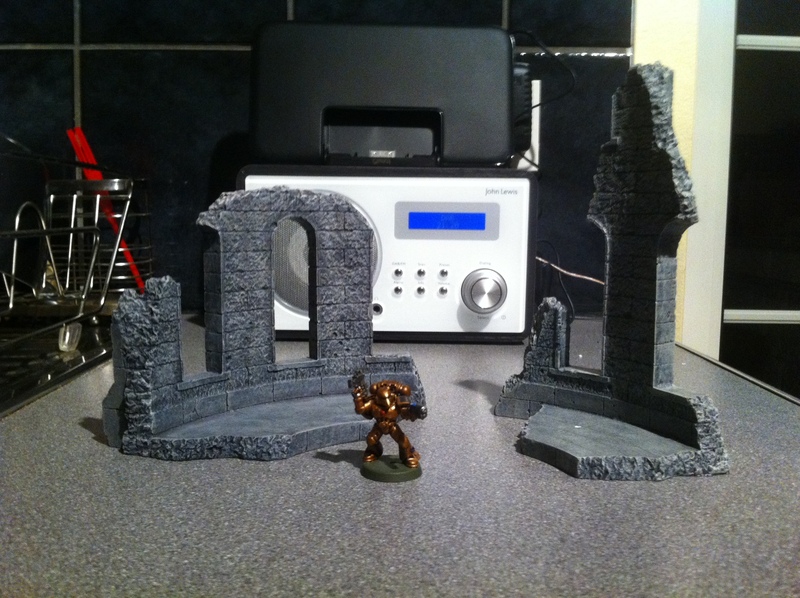 Anyone looking to furnish their table through BiaB should think about whether they want to wait until the sets that will allow a pine scattered rocky landscape are available again or instead go for the Palm Tree, Oasis and Desert Hill sets instead. Your choice of game/army/preferred scenario might help you make that decision. Hope this review is useful to you. I’ll post more as I add to the collection.